Our construction bins are just what you need to help your construction project in Innisfil run smoothly and progress in a timely manner. When you’re managing a construction project, the last thing you want to worry about is the trash that comes from unwrapping newly delivered building materials or the junk that accumulates from demolition. You simply want the scraps out of your way, so you can focus on the project at hand. 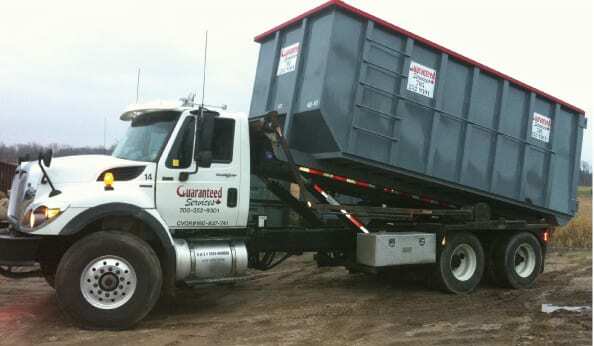 Our construction bins at Guaranteed Services are just what you need to help your construction project run smoothly and progress in a timely manner. 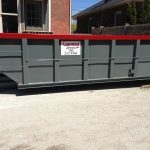 We deliver our construction bins to your construction site on your requested day and will pick them up again at the completion of your project. We realize different jobs will produce a different amount of waste, so we offer varying sizes of construction bins, enabling you to choose the most affordable option for your project. If you have a very large project, we can deliver multiple bins to your site. If you’re unsure of the amount of waste you might have, we can recommend a size for you. We can also bring more construction bins to your site if you run out of space. We know that with construction projects, staying under budget is very important. We offer honest, competitive pricing and will give you our fees upfront without adding extra administrative or disposal fees on at the end. Our pricing is very competitive in the Innisfil, Ontario area, and we are confident that you will be highly satisfied with the service you receive for our affordable pricing. Make us your go-to company for construction bins when you are working on projects in and around Innisfil. We feel confident we will earn your return business when you work with us!